Ms. How brings more than sixteen years of leadership experience in both the private and public sectors. 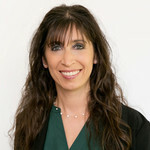 She joined ASV, Inc. in 1999 after spending seven years as an accounting supervisor with Industrial Lubricant Co. She was named Controller of ASV in 2006 and assumed the lead finance role for ASV in 2009. In 2012, under Terex ownership, she became Finance Director of Terex with responsibility for several Terex business segments and with a focus on internal controls and strategic objectives. In that capacity, Ms. How served as our Finance Director from December 2014 through May 2017, when she became our Chief Financial Officer upon the completion of our initial public offering. Mr. Rupar joined ASV in March 2018 as Vice President of Sales and Marketing. 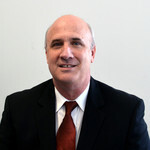 He has over 25 years of experience in building dealer, distributor and captive OEM dealer networks. He has built and implemented various marketing strategies and tools as well as training programs. Prior to joining ASV, he has held the positions OEM Department Manager/Regional Sales & Marketing Manager and District Marketing Manager with Yamaha Motor Corporation and most recently Division Manager, Business Unit Manager and Assistant Sales Manager with Yanmar America Corporation. Mr. Rupar earned his MBA from the University of Georgia, Terry College of Businesses in Athens, GA and completed his undergraduate studies from St. John's University in Collegeville, MN and the University of Salzburg in Salzburg, Austria. Mr. Foster joined ASV in April 2018 as Vice President of Operations and Supply Chain. Prior to joining ASV, he held several Senior Manager positions with The Boeing Company, including Assembly, Production Control/Fabrication Division, and Fabrication as well as Director of Manufacturing and Director of Operations with SAF-Holland Inc. Most recently, he held the position of Plant Production Manager with TGW Systems Inc. Mr. Foster brings to ASV over 20 years of experience in manufacturing management. He has been successful in streamlining operations, implementing Lean initiatives, increasing productivity, and supply chain management. Mr. Foster holds a Bachelor of Science in Industrial Supervision, Engineering Manufacturing from Northern Arizona University. 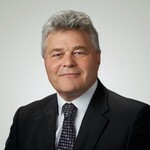 Mr. Wake joined ASV in 2002. He has served as the OEM Undercarriage Manager in addition to holding various positions in Engineering. 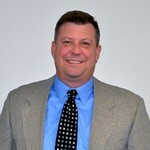 As Director of Product Development, he is responsible for Engineering and providing Service Support to the dealer network. Prior to joining ASV, he worked for 5 years in the Harvesting and Seeding Divisions at CNH Global, a multinational manufacturer of agriculture and construction equipment. Mr. Wake holds a degree in Agricultural Engineering from the University of Minnesota Twin Cities. Ms. Gill joined ASV in 2008 and has served in a number of roles including Senior Staff Accountant, Materials Manager, Production Control Manager, Human Resources Manager and most recently Director of Corporate Core Values and HR. In this role, she is responsible for incorporating ASV's core values of Safety, Quality, Teamwork, Integrity and Customer Satisfaction into the way of working and decision making. In addition, she is responsible for organization development, recruitment, administration of benefits, compensation, and compliance. Prior to joining ASV, she worked 10 years at the UPM Blandin Paper in a variety of roles including IT Systems Analyst, Finance Senior Business Analyst, and Human Resource Specialist. 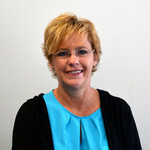 Ms. Gill earned a Bachelor of Science Degree in Business Administration from Northern State University in Aberdeen, SD. 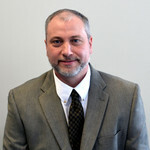 Mr. Christianson joined ASV in 2006 and has been a leader in the creation of our technology platform and infrastructure. As Director of Information Technology and Business Solutions, he is responsible for providing strategic insights, leadership and focus for information technology across all aspects of our business. Prior to joining ASV, he worked for Federated Mutual Insurance and UPM Blandin. He has over 26 years of experience in all levels of information technology from development to operations to strategic planning. 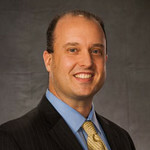 Mr. Christianson earned his Bachelor of Science Degree in Business Computer Information Systems from St. Cloud State University in St. Cloud, MN.